It hasn’t been an easy holiday season for reality show star Vienna Girardi. After flaunting their relationship on Bachelor Pad 2, Girardi split from boyfriend Kasey Kahl in November and reportedly moved back to the peanut farm her parents own in Geneva, Florida. A new life change, right? Not so fast: the serial reality show contestant, who first shot to fame last year when she became engaged to Jake Pavelka on The Bachelor — left the farm shortly thereafter to film Relationship Rehab with said ex-boyfriend Kahl. (It appears the two patched things up). Now TMZ reports that the 25-year-old Girardi has angrily stormed off set, telling producers that she “hates” them, because the producers ushered in yet another ex-boyfriend: Lee Smith, with whom Girardi was allegedly flirting with while engaged to Pavelka. 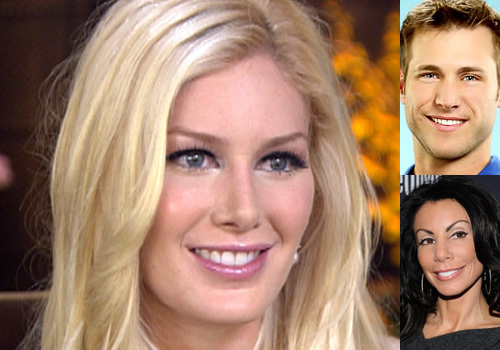 Heidi Montag and other f-listers to compete on ‘Famous Foods’!